WATER RESISTANT & EXTREMELY LIGHTWEIGHT : Made of water resistant nylon, which obstructs water and vapor effectively. Don't worry about getting your laptop and accessories wet from splashing water or rain. 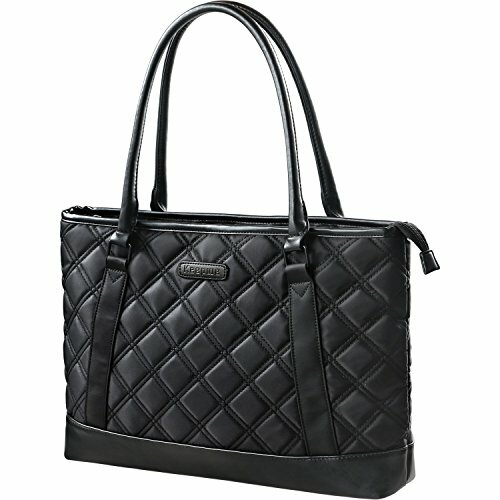 Weighs only 610g (1.34Ibs), making this laptop bag really convenient for your daily activities. 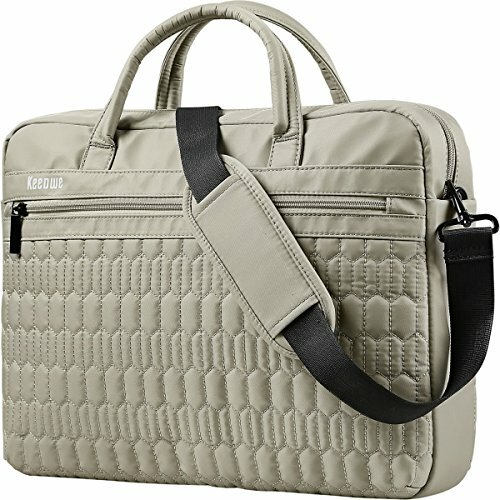 DURABLE NYLON & THICK FOAM PADDED COMPARTMENTS: this laptop bag builds with durable sturdy nylon, ensuring 2X longer lifespan than other laptop bags. Thick foams well padded laptop compartments protect your valuable laptop and other accessories. STRONG HANDLES & STURDY ZIPPERS WITH SEPARATED COMPARTMENTS: exquisite-well sewings strong handles and sturdy efficient zippers to eliminate your bothers of returns or resewings. this laptop bag boasts spacious room, ideal for your laptop, iPhone, iPad, chargers, books, cords, pens, name cards and visa cards. 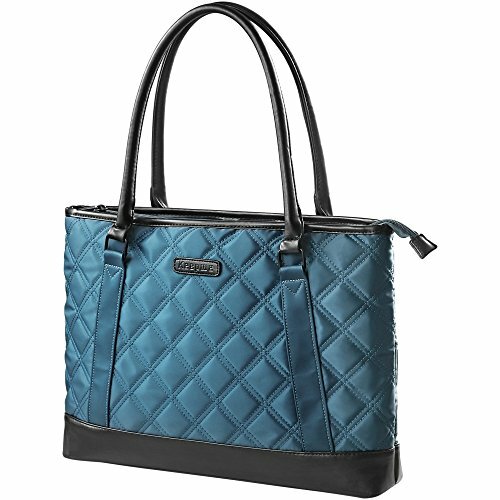 SIMPLE YET STYLISH APPEARANCE: designed with the concept of simplicity, stylish diamond-pattern with perfect size. An admirable laptop bag for businessmen, workers and college students. Made from a good quality nylon material with great disposition, leaving no bad odors as some materials leave behind. DIMENSIONS: Exterior: 16.1'' x 11.8'' x 3.9'' & Interior: 15.6'' x 11.2'' x 3.4''. Compatible with MacBook Pro MJLT2LL/A 15.4-Inch, Macbook Pro MJLQ2LL/A 15-inch, Acer Aspire E5-571P-59QA / Acer Aspire E 15 ES1-512-C88M / ASUS X551MA/ ASUS ROG / Fujitsu LIFEBOOK A512 NG / Lenovo Thinkpad E545 / HP Pavilion 15-r030wm / RV510 / Sony / Toshiba Satellite C55-A5105. Due to variations in the sizes of different models. please check the dimension before purchase. ULTRA LIGHTWEIGH: The steel toe shoes weigh only about 550-610g(19.4-21.107oz), it is lighter than regular composite toe shoes, softer to wear. 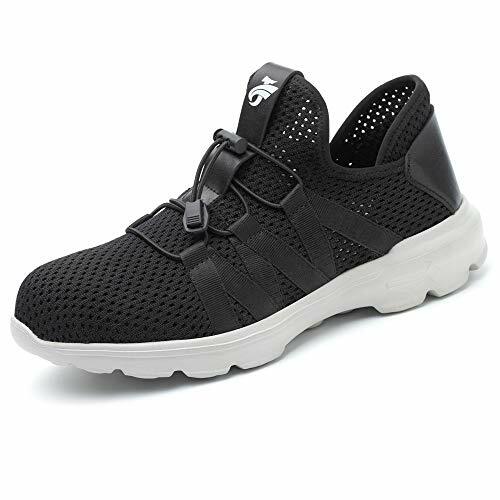 MULTI-FUNCTIONAL WORK SHOES: With synthetic uppers and breathable mesh panels, and abrasion-resistant toe overlay for a athletic shoe look, your work shoes can be as comfortable as your Saturday sneakers. PERFECT FOR: The work shoes are suitable for wokers in construction, industrial, warehouse, factory, outdoor, etc.